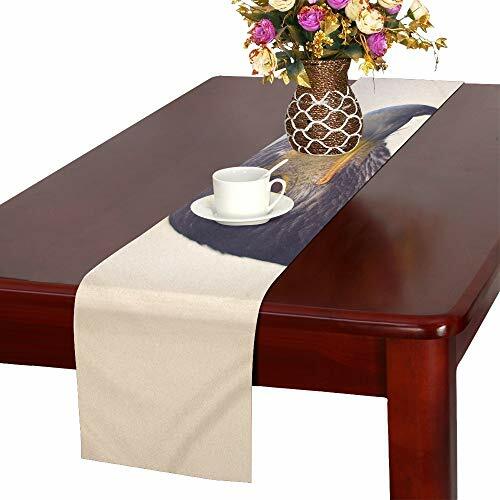 This InterestPrint table runner combines with unique design reveal the fashionable elements and creative charm. Our design images from regular website, funny, fashion and unique, We believe you will receive many compliments when you get it. Features: Lightweight, durable and could be folded away compactly. One side printing, using the advanced Printing technology, vibrant color. You can decor it to any occasion, such as party,wedding,meeting. Wash: gentle hand wash separately in cold water, no shrink, no color ran. Features: one side printing, lightweight, durable and could be folded away compactly. View More In Table Runners. If you have any questions about this product by QYUESHANG, contact us by completing and submitting the form below. If you are looking for a specif part number, please include it with your message. Big Dot of Happiness Funfari - Fun Safari Jungle - Petite Baby Shower or Birthday Party Paper Table Runner - 12" x 60"